Housed in the historic Trinity Building and overlooking beautiful Trinity Church, this 19th century landmark sits in the heart of New York's Financial District. We've chosen this location because we want to play an active role in the redevelopment of downtown Manhattan. Designed for your comfort and privacy, personal concierge services are offered to coordinate all of your care. 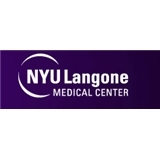 We are pleased to announce that on October 29th, 2009, NYULMC implemented Epic, an integrated medical information system, starting with our Trinity Center practice. Epic has enabled us to automate medical records, speed referrals and dialogue between your NYULMC physicians, and facilitate swift access to essential patient clinical information--while meeting all HIPAA privacy and security requirements. All appointments must be confirmed with the office at least 24hrs. in advance or it will be rescheduled. Amazing visit ! Professional and polite. Answered all my questions and concerns. Would recommended in an instant. Dr. Marcantonio was amazing. She made our 22 month old son feel welcome and at ease. This was our first visit but she will definitely be his primary physician for now on! So happy to have found Dr. Nidfar. She is thorough, observant, thoughtful and cool. My son really liked her and we both left feeling that he has finally connected with a doctor he can have a dialogue with when needed. Highly recommended.